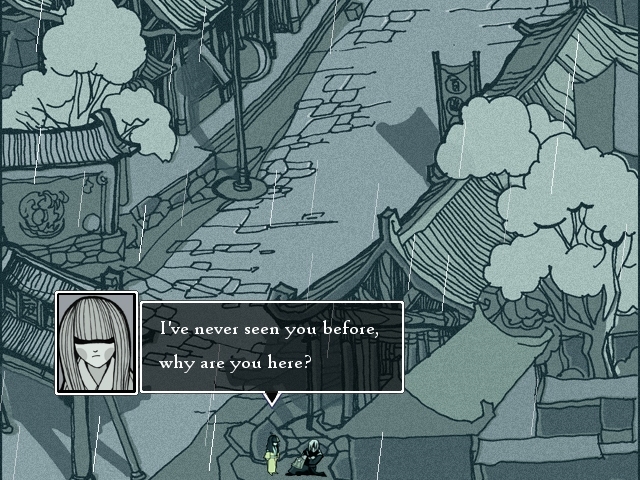 Although Rain Blood is only a few hours long, the story and bleak setting are genuinely moving. It places ideas under the microscope that are at times disquieting. 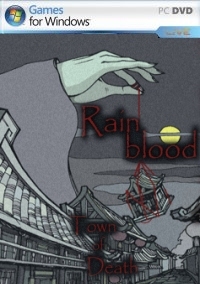 Rainblood is a popular Role Play Game in China, recently translated into English. It recreates the microcosm of its world with fully hand-drawn visuals that add a freeform quality to the desolate setting. 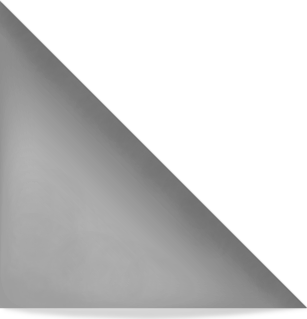 There is a simplicity to the style that is quite inviting, even though the game as a whole is dark and relatively intricate. I'm always drawn to games that recreate worlds in miniature for me to experience, and Rainblood pushed all these buttons for me. In case the title wasn't warning enough, it is also just about as explicit and shocking as the limited level of graphical detail will allow. I questioned briefly whether shocking violence was a rather cheap emotional trick. In reality though, violence is such a mainstay of video games it needs careful handling to retain its impact. 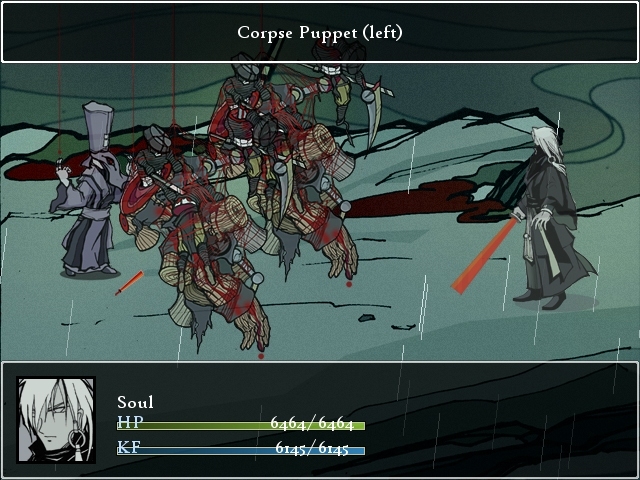 Fighting through virtual enemies is often such a constant I stop noticing elements like blood effects. In Carmageddon or MadWorld ultra-violence is even presented as something to revel in or laugh at. Those virtual acts are very far removed from real physical violence, particularly its emotional reality. Rainblood is clearly a fantasy, and focuses on a martial arts world full of over-the-top swordplay. But it is also melodramatic and doesn't rely only on violence for impact. In a setting emphasising human feeling the meaning of blood is maintained - even with copious amounts of it. The core of its impact remains grounded in very familiar human traits and emotions. 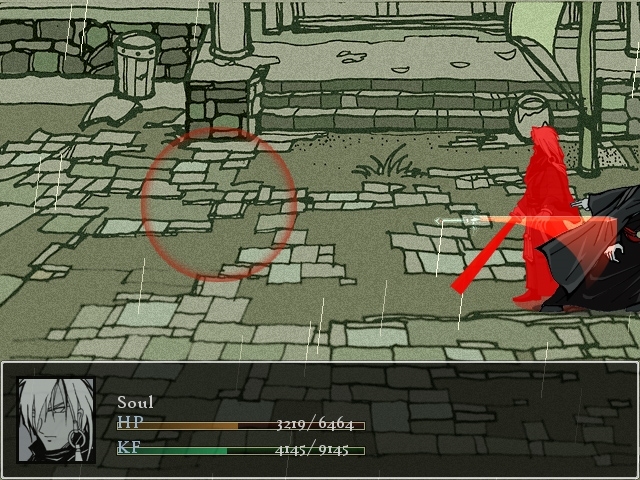 Story and atmosphere are Rainblood's major strengths. The English translation contains occasional errors, and I'm sure some cultural subtleties will have been lost on me. Despite that, it retains a powerful narrative full of themes common in the wuxia genre, such as honour, friendship, romance and betrayal. The political landscape and relationships between characters make for a deep and complex tale. It might be easy to dismiss a melodramatic fantasy as too exaggerated to be relevant to real life. However, the core of its impact remains grounded in very familiar human traits and emotions. It creates vignettes that impact through their well observed recreation of reality. I struggled with the concept of honour though. It feels slightly abstract and removed from my life. Perhaps living in an individualistic society makes it difficult for me to tie my sense of self to larger ideals. I wouldn't say I live without honour, exactly. More that I focus on slightly more specific (but still huge) concepts that may be considered honourable, such as respect or loyalty. I feel like I understand those ideas, where honour itself can be overly broad and subjective for me to get my head around. It was these more specific concepts that allowed me to connect to the story. Rainblood drew me into the microcosm of it's bloody and believable world. Rainblood drew me into the microcosm of its bloody and believable world, and although short lived I look forward to continuing this journey. 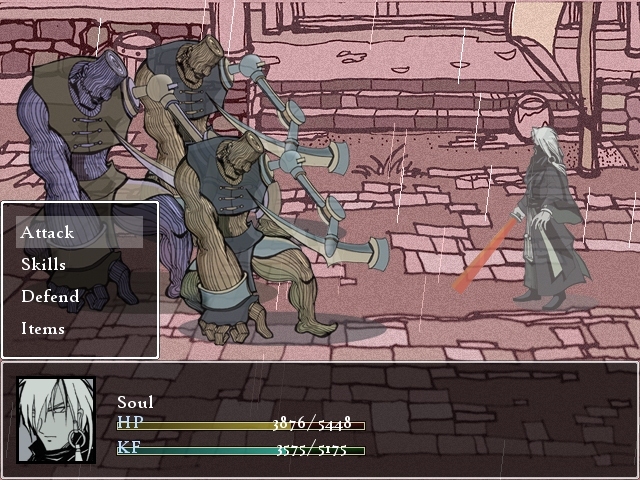 Thankfully a sequel to Rainblood: Town of Death is in development.